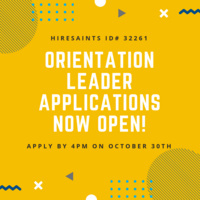 Apply to be a 2019 Orientation Leader! * If you absolutely cannot attend one of the 10 information sessions, please contact Administrative Orientation Leader Maeve Hegarty at hegartym@emmanuel.edu to schedule an individual meeting. Questions? Contact Alexa Trainor (trainora@emmanuel.edu), Maeve Hegarty (hegartym@emmanuel.edu) or Ashley Royer (royera@emmanuel.edu)! You can also played anytime and anywhere with out any lose or problem,so this is right time,so players hurry up and played online with your friends http://fireboywatergirl.me i am sure you felling very well,so finally click here this visit.